The Alphubel is a summit of the Mischabel massif. 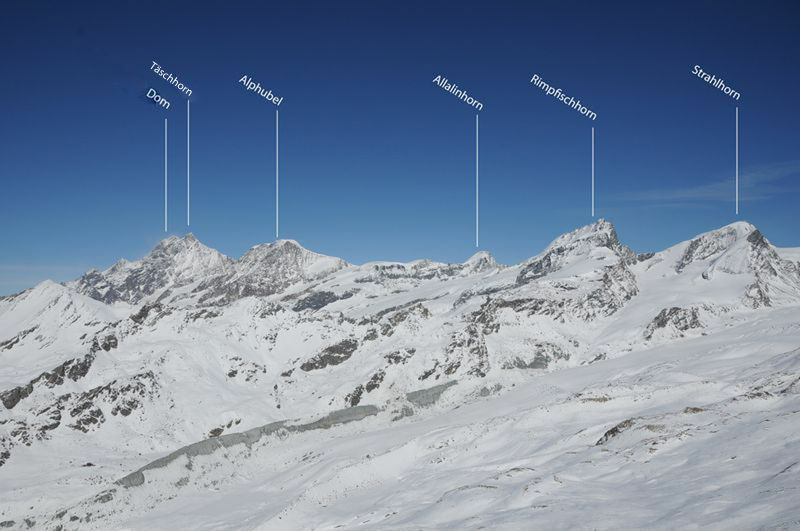 Seen from Zermatt, it looks like a flat hill (see “Origin of name”), lower than it really is. 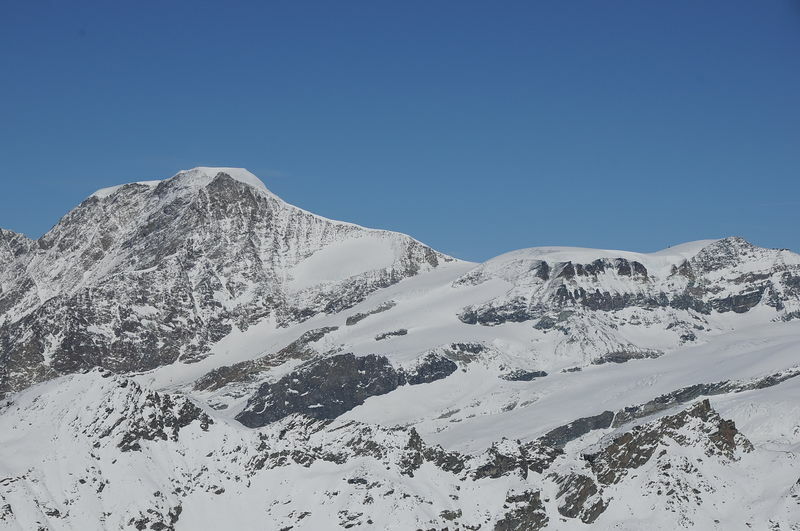 Viewed from its eastern side, from Saas Fee, it stretches out as a huge, glaciated hump with an extended summit plateau, and has the shape of a trapezium. It is easy to climb from this side, even on skis in the spring. Seen from the west, it presents itself as a rock wall, with two significant ridges that reach towards the summit plateau. The cliffs are up to 700 m high, with ribs and ridges leading steeply to the summit and requiring excellent climbing skills. 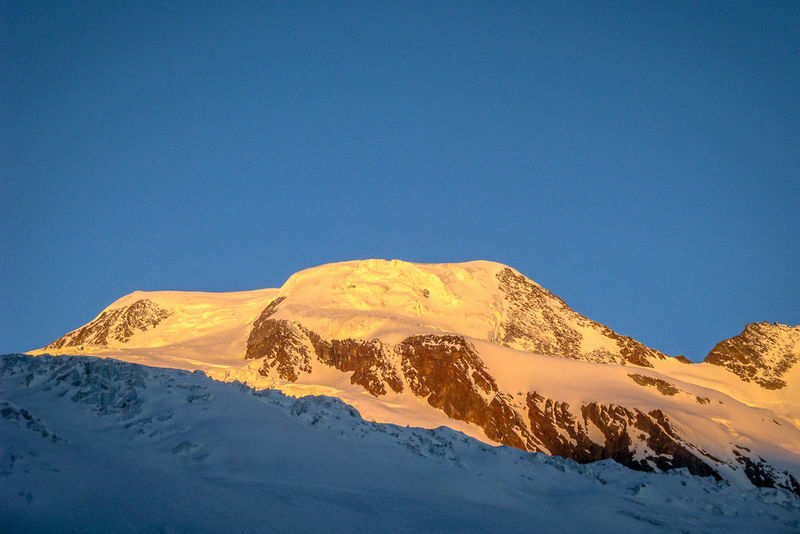 The first ascent was on 9 August 1860 by T. W. Hinchliff and Leslie Stephen with the guides Melchior Anderegg and Peter Perren. 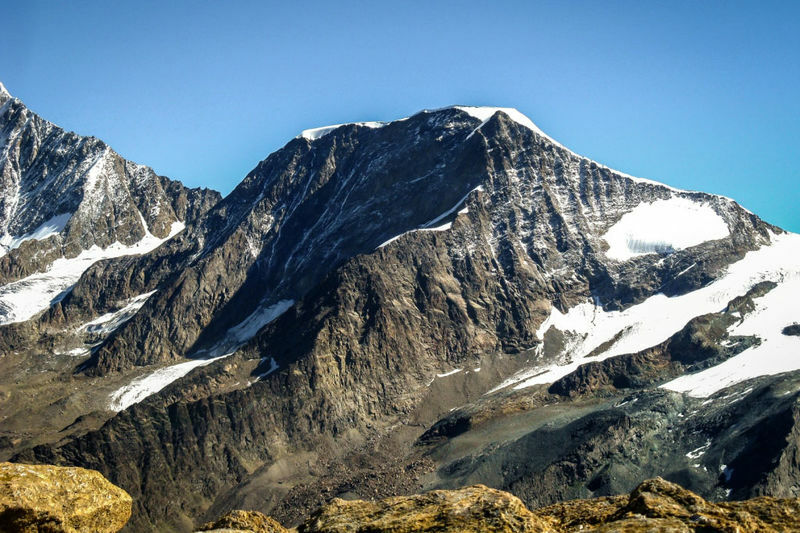 The first ascents of the difficult west ridge (1945) and the west rib (1946) were by the local mountain guides Alfons Lerjen and Pius Mooser, with their guest Edouard Wyss-Dunant.